We are fortunate to have zero light pollution and our solar lights give off little light, ensuring a stunning view of the stars in the night sky. Escape the pressures of modern life and savour the tranquillity and beauty of the surrounding environment. 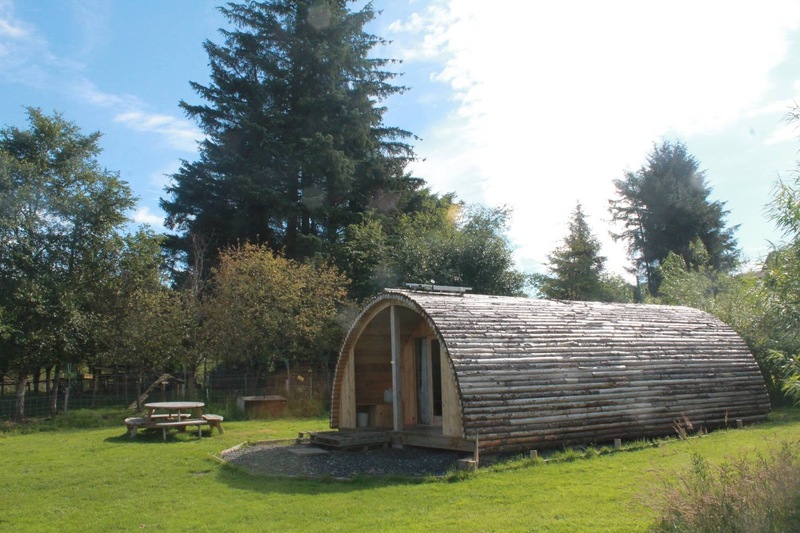 Romantic Pod: Our lovely pods are unique and beautifully furnished. They come with a comfortable double bed with a memory foam mattress, fresh linen and quilts. Outside you can gather around the fire pit at night and admire the clear night sky. Modulog Howff: A unique concept, Modulog Howff is made of British oak and pine. The floor to ceiling windows are double glazed and enjoy breathtaking countryside views. 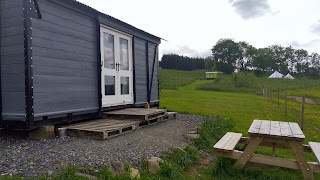 Inside there is a wood burner, small kitchen area and a main room with rugs, benches and a table. Outside there is a circular seating area and a fire pit. The Bothy provides cooking area for all guests. It includes knives, forks, pots, pans, mugs, plates, hot water, a sink and a safe area for you to cook on your camping stove or use our two double burners. Ecocamp also offers an extensive range of food, including frozen burgers, bacon, seasonal eggs and homemade cakes and scones.